Home / News / UHURU honours his mother, MAMA NGINA KENYATTA, with a 2 billion ultra-modern university in Gatundu-Look! UHURU honours his mother, MAMA NGINA KENYATTA, with a 2 billion ultra-modern university in Gatundu-Look! Wednesday April 17, 2019-President Uhuru Kenyatta has moved to honour his mother and former First Lady, Mama Ngina Kenyatta, with a Sh 2 billion ultra-modern university. 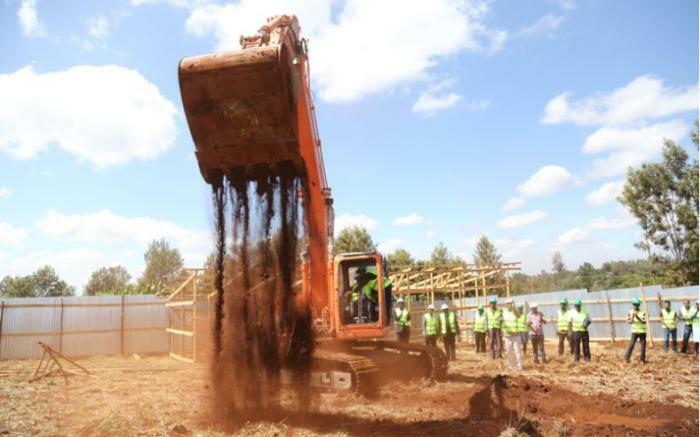 The construction of Mama Ngina University in President Uhuru Kenyatta's village of Mutomo, Gatundu South, has already been launched. According to reports, the new university will begin operating as an affiliate college of Kenyatta University when it opens its doors in 2022. Speaking during the groundbreaking ceremony, Kenyatta University chancellor Benson Wairegi indicated that the new institution would accommodate 10,000 learners during the first intake. Gatundu South MP, Moses Kuria, who equally graced the occasion, hailed the project, stating that the university would bring development into the area and create employment. He the institution would attract people from all corners of the country. He nevertheless highlighted that the greatest challenge at the institution's surroundings was lack of accommodation facilities. The vampire need the house levy taxes to fund the mungiki university. bure kabisa.